As a desert sun blares across the unforgiving red-clay landscape, caving to exhaustion seems a welcomed option. Feet pounding against earth with a final destination unseen, the journey is not a simple task. Yet the runner knows: I am a messenger with a story which must be told. 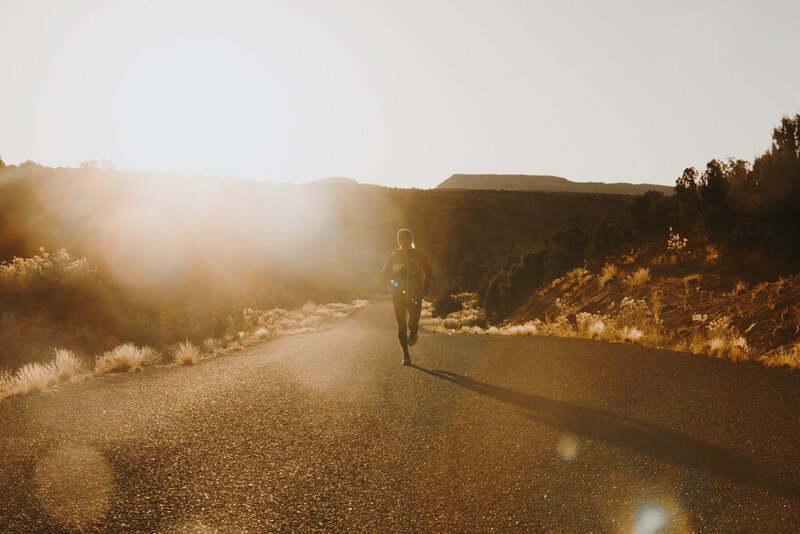 To communicate their passion, a ragtag group of individuals from various walks of life came together to run 250 miles in two days across Bears Ears and Grand Staircase-Escalante National Monuments. The reason was not for a race or for glory, but to educate and unite amidst a turbulent political climate. 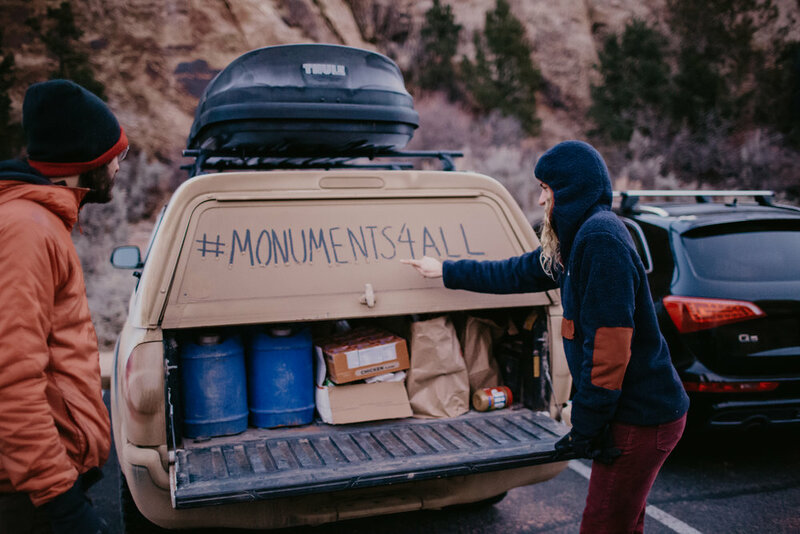 On December 4, 2017, Mr.Trump moved to drastically reduce two protected areas in Utah; Bears Ears will be reduced by about 85 percent or roughly 201,876 acres, while Grand Staircase-Escalante will be reduced from 1.9 million acres to only 1,003,863 acres. Mr. Trump passed these alterations without ever stepping foot into the protected monuments. Andy Cochrane, Greg Balkin, and Johnie Gall were not ready to stand idly by as Mr. Trump reduced these lands so drastically. 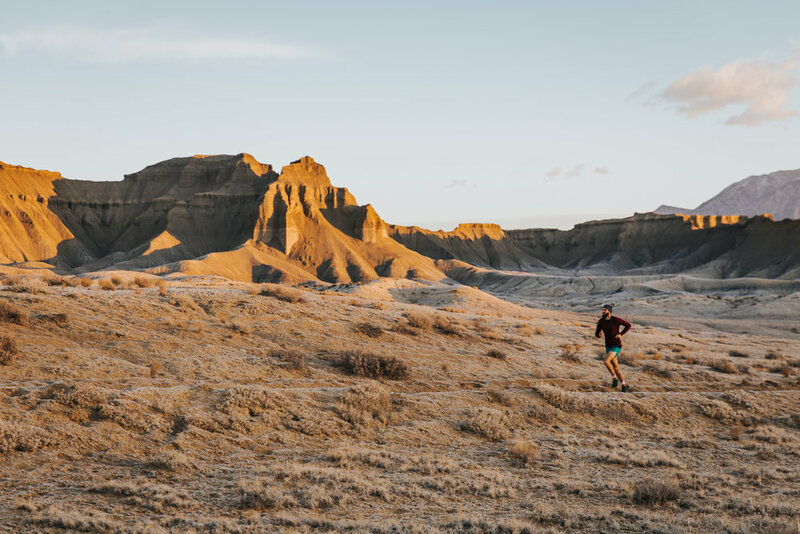 The idea for the Messengers relay originated as the three pondered ways to use their platforms to tell the tales of these threatened public lands. 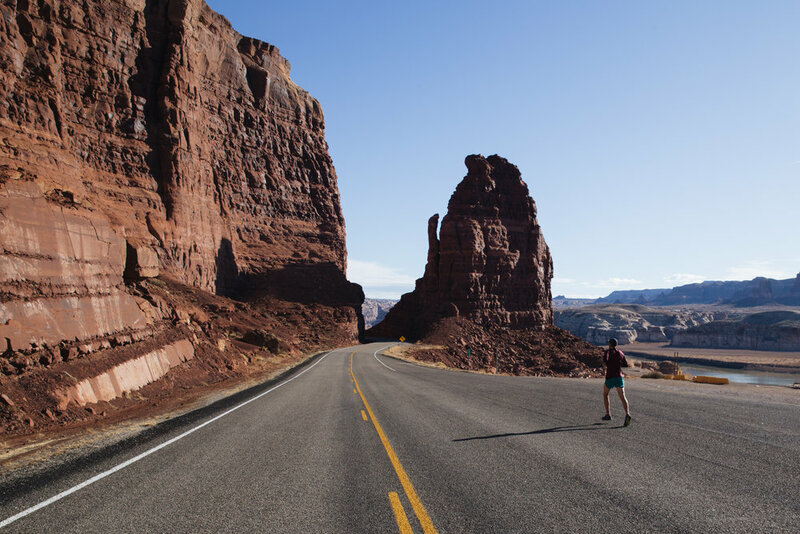 As avid runners and activists, the group quickly formed an adventure. Once the plan was born, the team roster quickly filled. 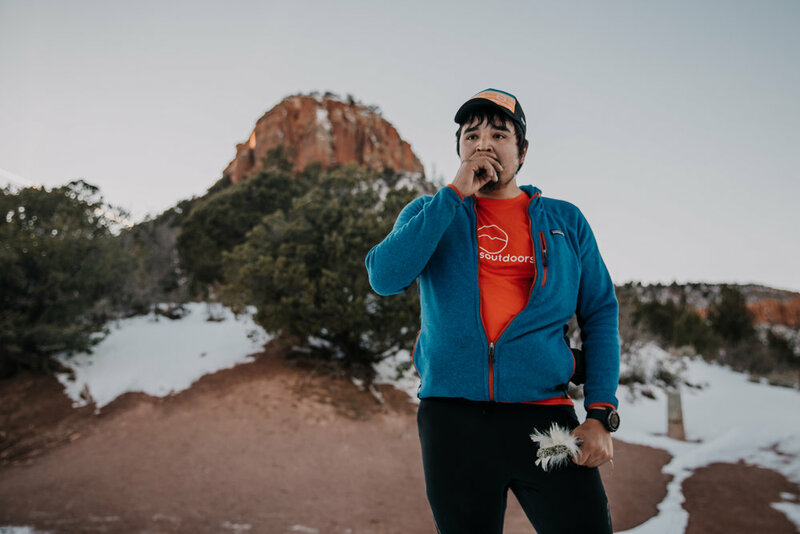 Consisting of everyone from local Navajo tribal members, to data scientists, Olympic athletes, and dirtbags—the crew had their differences. However, they all shared at least one thing in common: a reason to run. On February 2nd, 2018, the modern Messengers set off to tell a story. Embodying cultural roots, Necefer explained the connection of the eagles as messengers between humans and the Diyin Dine’é (Navajo Holy People). Therefore, the runners carried a sage and eagle-plumed “baton” to be handed off at transition points to truly strengthen the connection they were trying to deliver. The route traversed through varying climates and geological wonders. 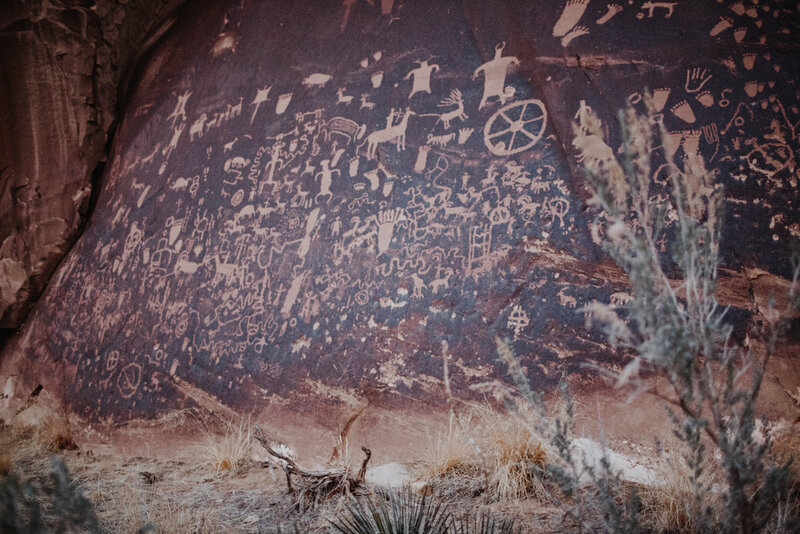 From conifer forests to echoing canyon walls, petroglyphs and crumbling spires, the messengers experienced a glimpse into the 200-million-year-old staircase which connects the history of humans and environments which have previously existed there. 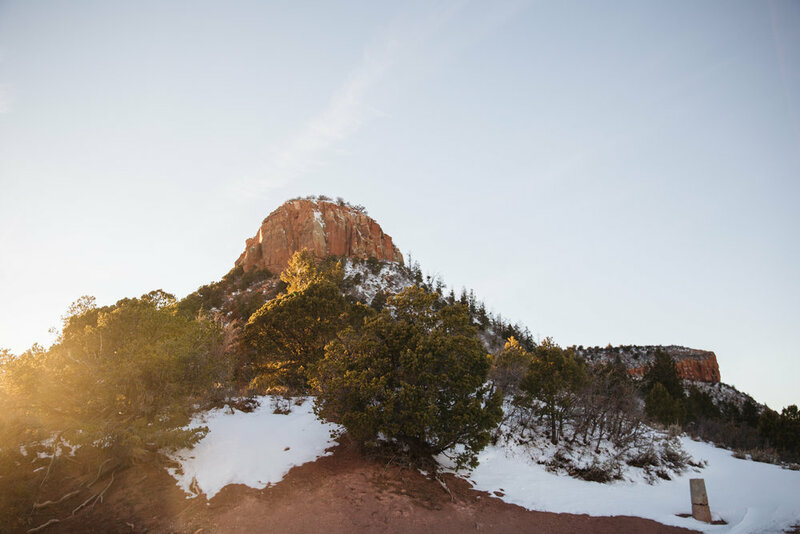 February 2nd, 2018 was the first day which Bears Ears and Grand Staircase-Escalante was opened for business to the extractive industries. To learn more and support the Native American Rights Fund (NARF) as well as to see the Messengers documentary, visit MessengersRun.com.